TABUK CITY, Kalinga – The Department of Public Works and Highways – Lower Kalinga District Engineering Office (DPWH-LKDEO) continues to bring pride and honor to the Cordillera Administrative Region (CAR) by being the only district engineering office of the agency that has consistently placed among the top performing district offices in the country as of last month. Based on the latest assessment report handed down by the DPWH central performance of the agency’s district engineering offices nationwide, DPWH-LKDEO reclaimed the 4th spot among the top ten top performing district offices in the country for September which was 3 notches higher than its 7th place ranking last August. DPWH-LKDEO district engineer Ireneo S. Gallato said that his office’s performance that allowed it to remain among the top performing district offices in the country is attributed to the individual and collective performances of all officers and personnel coupled with the overwhelming support of concerned stakeholders such as local officials, partner agencies and local governments, the private sector and especially the end users of the projects that have been accomplished or are being implemented within its area of jurisdiction. “Our significant accomplishments in terms of our performance will serve as a motivation for us to continue improving on it in the succeeding months. Rest assured that we will not simply sit on our laurels because of our improving rankings but we will instead work hard to further improve on what we have done previously,” Engr. Gallato stressed. After landing in the 15 and 16th places in the overall rankings of district offices in the country during the initial implementation of the assessment of the performances of engineering offices nationwide last May and June, respectively, DPWH-LKDEO jumped to 4th place in their July rating period before dropping to 7th place in the August assessment. The performance of the different district engineering offices are being measured on their absorptive capacity, project and contract management and the disbursement of the funds that the said offices have been projected to spend for the implemented projects during the month. According to him, the implementation of the assessment of the performance of district engineering offices on a monthly basis served as a motivation and inspiration for all DPWH officials and personnel to strive for the best in the prosecution of the projects that have been funded for implementation under the national expenditure program of the agency, thus, it keeps them on their toes considering the enormous projects that have been provided funding by the national government to improve the overall condition of the major roads and bridges in the different parts of the country. 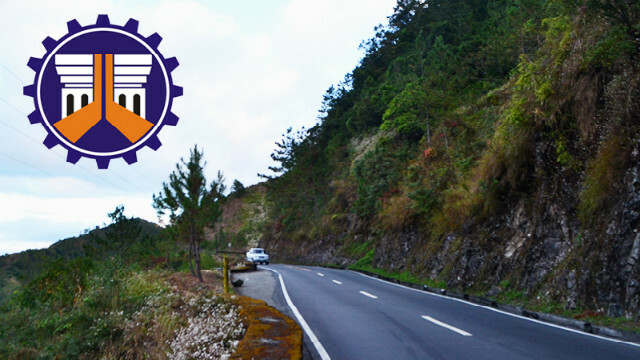 The DPWH-LKDEO appealed to concerned stakeholders to continue extending support to the agency in the implementation of funded major infrastructure projects in lower Kalinga that covers the towns of Rizal and Pinukpuk and Tabuk City because it will be the people that will directly benefit from the completion of such projects through significantly reduced travel time from their pints of origin to their points of destinations aside from helping spur the increased economic activities and sources of livelihood of the people living in communities that will be traversed by the roads and bridges.